The Serie A top-four race continues to be wide open, thanks to another dramatic weekend. Another defeat for Inter Milan has changed things, and now two Champions League spots are up for grabs. There’s hope for everyone inside the top eight of making it into Europe’s premier competition next season. That should give us a thrilling finale in May, but it also gives us an interesting betting market. With at least six sides vying for two lucrative places in the top-four, competition is fierce. Back in August, we predicted that the top-four race would be thrilling. It’s certainly looking that way, making it one of the markets to watch across Serie A this season. With only 12 rounds left to go, we’re looking at the latest betting odds in the Champions League chase. We’re looking at the favourites, the contenders and the outsiders, and trying to find the value option in a packed field of strong sides. After winning their last four Serie A games, AC Milan are among Italy’s form sides. Only Juventus can match that streak, which has taken the Rossoneri into the top three in the table. That’s down to a fantastic record in 2019. As a result, their odds of making the top-four are down to just 1/3 with Paddy Power. For a side who have been off in the wilderness for so long, this is a crucial couple of months. It’s a mixture of factors which have improved Milan. 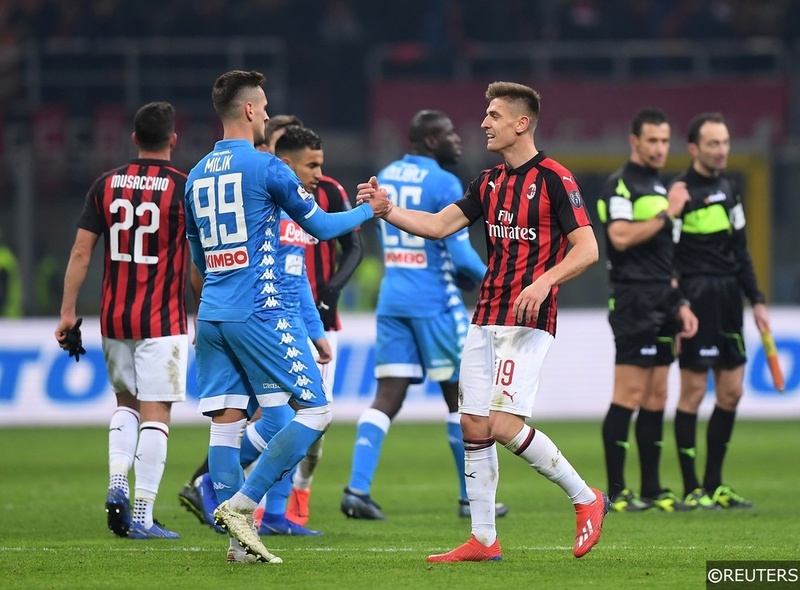 Their January transfer business was solid, letting Gonzalo Higuain leave and replacing him with Lucas Paqueta and Krzysztof Piatek. The Polish forward is making a charge for the Golden Boot, and you can see our rundown of the contenders in that market right here. Should he maintain his brilliant start, then the Rossoneri should book their place in the top-four. Slipping behind their Milan rivals is a hugely symbolic blow for Inter. 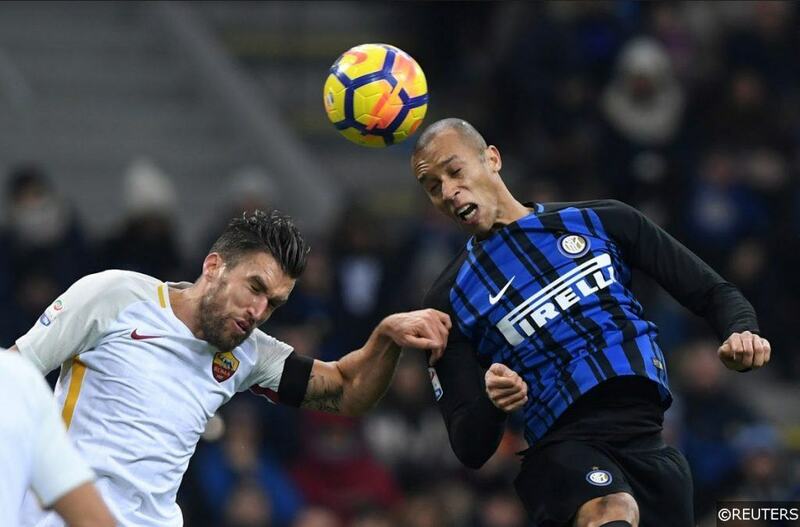 The Nerazzurri set out this season with outside hopes of the title, but their minimum ambition was to improve on last season’s top-four finish. With their title dreams gone, Luciano Spalletti is now under pressure to deliver the Europa League trophy, which may end up being their only route back into the Champions League. Inter had seemingly made the most of finishing fourth last season. They made signings, pulled off big Champions League group stage displays and then kicked on in the league. 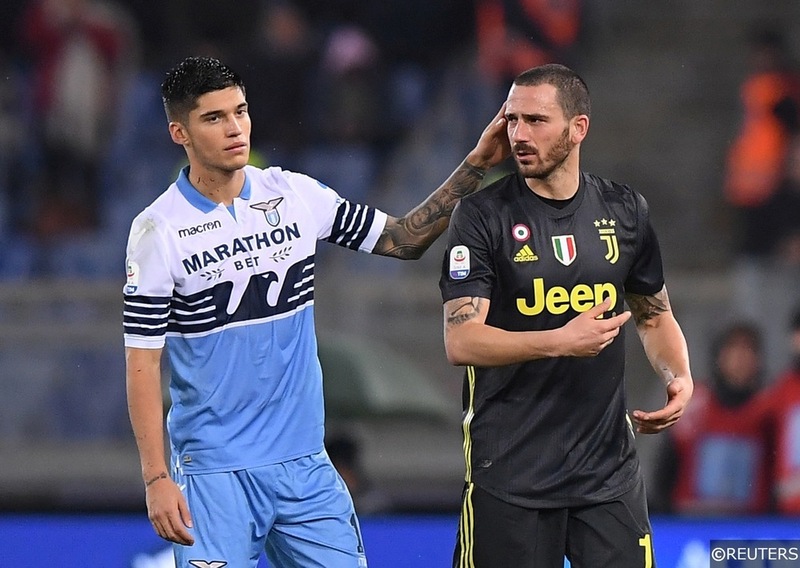 However, the chief bottlers in Italian football have shot themselves in the foot, with a public spat with Mauro Icardi contributing to their season spiralling out of control. They stripped their key player of the captaincy, and he’s not been in the squad since. That’s led to Inter slipping to fourth, and their fall could continue. They’re 8/15 with bet365 to secure a top-four finish, but suddenly we aren’t so certain. This season, Roma have shown the dark side of ambitious planning for the future. They are armed with a talented, young coach and a squad of promising players brought together by one of the highest rated sporting directors in football. 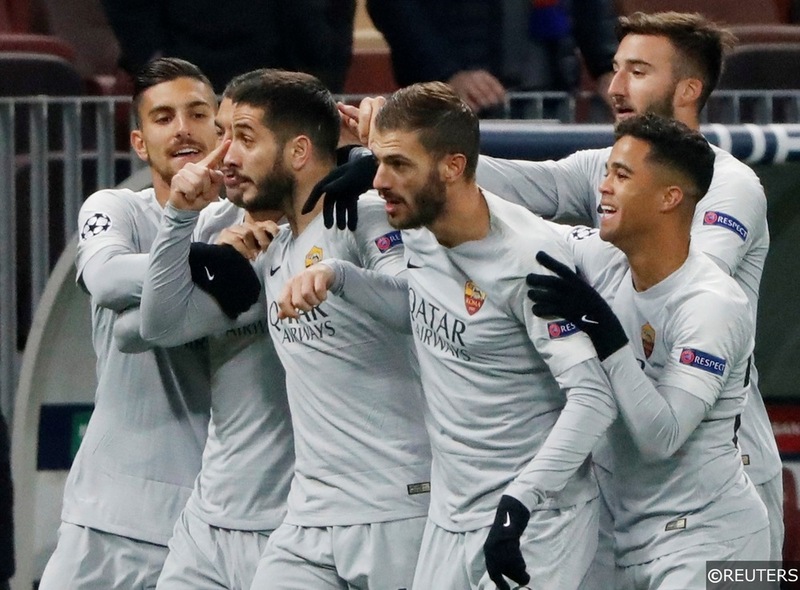 However, their issues have been huge all season, and Eusebio Di Francesco’s days are numbered. A 3-0 loss in the derby to Lazio followed by their Champions League exit to Porto has rocked the capital side. While Di Francesco could be off, sporting director Monchi is likely to follow him. The man praised for turning Sevilla into a Europa League force has seen his relationship with the club strain. He reportedly threatened the Roma fans on the way back from Portugal, telling a group he’d, “take each of you on one by one”. Clearly, this is a club who are struggling, and their lack of consistency is a concern. Claudio Ranieri – just sacked by Fulham – is the favourite for the job, but he could wait until the summer to take charge. Like Inter, Roma have shot themselves in the foot, and they sit out at 2/1 with bet365 to finish fourth this term. While Roma are struggling, their rivals are thriving. Their 3-0 win in the derby could turn around a mixed season. The Aquile are in the Coppa Italia semis, among the favourites for the trophy. They’ve also moved to within six points of fourth with a game in hand. They were fourth until the last 45 minutes of the season last term, and they look set to push for the Champions League yet again. The issue for Lazio boss Simone Inzaghi is the underperforming men in his side. The likes of Sergej Milinkovic-Savic has failed to hit the heights of last year. He seemed to be expecting to move on last summer, with clubs considering splashing out £100million on the Serbian midfielder. Keeping their best players seemed like a blessing for the Aquile, but they haven’t hit last season’s heights, so they are still a risk at 3/1 with Paddy Power. The side in sixth place in the Serie A standings are the big price in this race. Former Watford boss Walter Mazzarri has returned to Italy to take Torino into the Champions League race, they’re level on points with Lazio and dreaming of a return to Europe. However, they are priced at 33/1 with bet365 to secure a top-four finish. The outsiders are clearly the dark horses, but with an unkind fixture list doubts remain over them. They face the derby with Juventus away from home, and three of the top nine are still due to visit them. 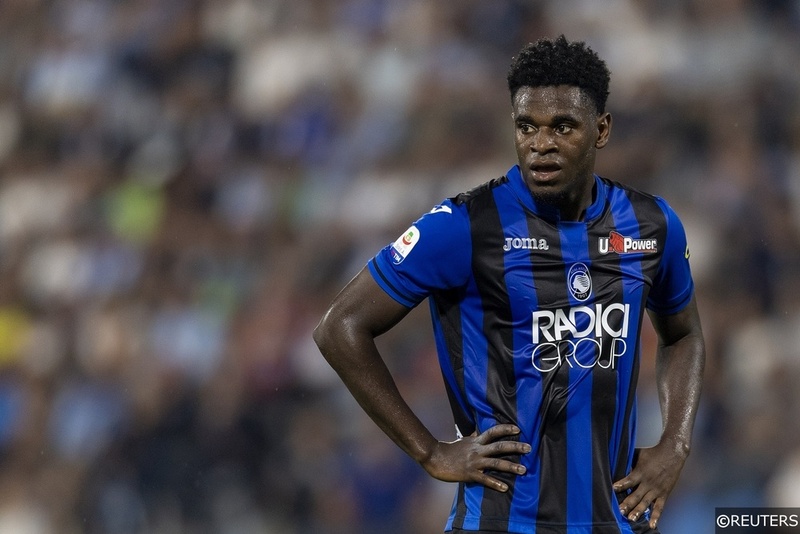 There are doubts about all the other sides in the Champions League fight, so could that leave room for Atalanta? The club have pushed into European contention in the last two seasons, and now they’re looking to finish fourth for the second time in three seasons. They can be found at 9/1 with bet365 to sneak into the top-four before the end of the campaign. La Dea have a strong squad, no European distractions and they sit just six points shy of fourth. They’ve claimed key wins which have taken them into the Coppa Italia semis. Thanks to victories like their 3-0 hammering of Juve, they feature among the favourites in the outright betting. The club have six more home games, all against bottom half sides. They have a few difficult trips, but this side are packed with goals and capable of causing anyone problems. Given their big price, they are certainly worth considering for a top-four finish in Serie A this term. Categories: Betting Odds, Champions League, and Football. Tags: Champions League, Italian football, Italy, Italy Betting Tips, Serie A, and Serie A Betting Tips. Team Tag: ac milan, Atalanta, Inter Milan, Lazio, and Roma. League: Italian Serie A. Sports: Football.